‘Iran’s President Mahmoud Ahmadinejad must love the tropics’, commented ironically The Miami Herald. He has spent more time in Latin America than President Bush. Since his inauguration in 2005, Iran’s foreign policy focus has shifted from Africa to Latin America in order to, as Ahmadinejad puts it, ‘counter lasso’ the US. 1. Iran’s non-aligned position in foreign policy has compelled it to seek out countries with similar ideological outlooks. 2. US efforts to keep Iran in diplomatic and economic isolation have forced it to pursue an active foreign policy. 3. The election of a reformist President in 1997 made it possible for countries like Brazil to engage Iran with enough confidence to withstand pressures from the US. The shift to the left in many important Latin American countries in the first decade of the new millennium has allowed Iran to be more successful in its attempt to improve relations with particular countries. From Ahmadinejad’s point of view, ‘rather than responding passively to the US attempt to isolate Iran politically and economically and become the dominant player in the Middle East region, Iran’s backyard, Iran should move aggressively in the US’s own backyard as a means to rattle it or at least make a point’. What is Ahmadinejad Looking for in Latin America? First, he is seeking Latin American support to counter US and European pressures to stop Iran from developing nuclear capabilities. Venezuela and Cuba were, alongside Syria, the only three countries that supported Iran’s nuclear programme in a February 2006 vote at the United Nations’ International Atomic Energy Agency. Secondly, Ahmadinejad wants to strike back at the US in its own hemisphere and possibly destabilise US-friendly governments in order to negotiate with Washington from a position of greater strength. Third, Ahmadinejad's popularity at home is falling, and he may want to show his people that he is being welcomed as a hero abroad. Since Ahmadinejad’s ascendancy to power, he has made three diplomatic tours to Latin America in search of an alliance of ‘revolutionary countries’. He visited Venezuela in July 2006, Venezuela, Nicaragua and Ecuador in January 2007, and Venezuela and Bolivia in September 2007. Ahmadinejad had also hosted President Chávez of Venezuela, President Ortega of Nicaragua, President Morales of Bolivia and President Correa of Ecuador and is expecting the visit of Brazil’s President Lula da Silva in 2009. The cornerstone of Ahmadinejad’s Latin America policy is the formation of an anti-American axis with Venezuela. During a July 2006 visit to Tehran, Chávez told a Tehran University crowd, ‘We have to save humankind and put an end to the US empire’. When Chávez again visited Tehran a year later Ahmadinejad and Chávez used the visit to declare an ‘Axis of Unity’ against the US. Ahmadinejad’s efforts to further destabilise the neighbourhood suggest that he is seeking a permanent Iranian presence on the US doorstep. Both leaders are using their mutual embrace to overcome international isolation and sanctions. Both Tehran and Caracas have used their petrodollar windfall to encourage states in Latin America to embark on confrontational policies towards the US. Using billions of Iranian dollars in aid and assistance, and a US$2 billion Iran/Venezuela programme to fund social projects in Latin America, Ahmadinejad has worked to create an anti-American bloc with Venezuela, Bolivia and Nicaragua. During the International Conference on Latin America held in Tehran in February 2007, Iran’s Foreign Minister, Mehdi Mostafavi, announced the opening of embassies in Chile, Colombia, Ecuador, Nicaragua and Uruguay and a representative office in Bolivia, and that a number of Latin American countries would open embassies in Iran. Iran’s political and economic penetration of the continent in a short period of two-three years is indeed impressive. According to Elodie Brun, both Venezuela and Iran are using oil as a political instrument to insert themselves internationally in a way that both characterise as revolutionary. The Venezuelan President, Hugo Chávez, and President Ahmadinejad embrace a rhetoric emphasising autonomy and independence from the great powers, primarily the US but also Europe, citing unity in the struggle against imperialism and capitalism. Hostility to the US, and particularly to the Bush Administration, is what most binds the foreign policies of the two countries. ‘Here are two brother countries, united like a single fist’, Hugo Chávez, the Venezuelan leader, was quoted as saying in Tehran. ‘Iran is an example of struggle, resistance, dignity, revolution, strong faith’, Chávez told al-Jazeera. ‘We are two powerful countries. Iran is a power and Venezuela is becoming one. We want to create a bipolar world. We don’t want a single power [that is, the US]...Despite the will of the world arrogance [of the US], we [Iran and Venezuela] will stand by the oppressed and deprived nations of the world’, Ahmadinejad said. Thérèse Delpech, a French analyst, has noted that Ahmadinejad's ‘flamboyant style’ is similar to that of his Venezuelan colleague. Some observers consider that Latin America’s willingness to embrace Iran indicates how far US prestige has fallen in the region. Chávez has emerged as ‘the godfather and relationship manager’, striving to draw in this embrace other allies such as Bolivia, Ecuador and Nicaragua. He is providing Iran with an entry into Latin America, vowing to ‘unite the Persian Gulf and the Caribbean’ and recently gave Iran observer status in his leftist trade-pact group known as the Bolivarian Alternative for the Americas. Iran has become the second-largest investor in Venezuela, after the US. The first ‘anti-imperialist cars’ from a joint venture (Venirauto) have now reached Venezuela’s roads, with the first batch earmarked for army officers. The 4,000 tractors produced annually in Ciudad Bolivar have a symbolic value as agents of revolutionary change. Most are given or leased at a discount in Venezuela to socialist cooperatives that have land, with the government’s blessing. Universities are teaching Farsi. Iran is to help build platforms in a US$4 billion development of Orinoco delta oil deposits in exchange for Venezuelan investments. An Iranian company is building thousands of apartments for Venezuela’s poor. The most visible impact so far has been the arrival of Iranian businesses. The public housing project alone has brought more than 400 Iranian engineers and specialists to Venezuela, where many have learned basic Spanish. Venezuela could also provide Iran with some breathing space as it tries to weather the financial pressure of UN and US sanctions on its nuclear programme. Venezuela could end up being an outlet for Iran to move money, obtain high-tech equipment and access the world financial system. Venezuela has already become Iran’s gateway for travel to the region. There is now a weekly flight between Caracas and Tehran, with a stopover in Damascus, operated by the Venezuelan state-controlled airline Conviasa and Iran’s national carrier, Iran Air. Flights are packed with government officials and government-friendly business people. Venezuela’s state airline bought an Airbus jet especially for the route. Bolivia might be a poor country, but it is strategically located and represents an important ally for Iran that can act as a catalyst in enhancing Iran’s growing cooperation with other leftist or populist governments in Latin America. On 27 September 2007 Ahmadinejad visited La Paz for the first time to meet President Morales. They took the opportunity to sign a programme of cooperation worth US$1.1 billion in Bolivia’s underdeveloped oil and gas sector. In August 2008 the government of Bolivia, with the support of Iran and Venezuela, created the Public National Strategic Company ‘Cement of Bolivia’ with an investment of US$230 million for the establishment of two plants in Potosí and Oruro departments. In the same month, the Vice-president of Iran, Mojtama Samare Hashemi, came to the country to express his support for Evo Morales and to promote economic agreements. Iran decided to open two health clinics in Bolivia, as a base for future Red Crescent projects in South America. The agreement includes sending Iranian medical teams to Bolivia, and offering specialised education and training for Bolivian physicians. The Bolivian Health Minister said that the Iranian clinics would expand the medical aid already being provided by Cuba and Venezuela. The Iranian state television agreed to provide Bolivian state television with Spanish-language programming, making it that much easier for every Bolivian to receive Iranian-produced news and documentary shows –ie, propaganda. In September 2008 Morales went to Teheran and agreed with Ahmadinejad to accelerate the execution of joint projects to increase economic development and welfare for both nations. The two Presidents issued a statement to the effect that the interference of the United Nations Security Council in Iran’s nuclear programme had no legal or technical justification. Morales’ decision to set aside any hesitation and fully support Iran's position in the current nuclear stand-off has gone a long way to cementing Iranian-Bolivian friendship. According to the statement, the two sides have also pledged to continue their political struggle against imperialism. ‘Nothing and no country can harm our relations with the revolutionary country of Iran’, Morales told reporters. Following his return from Iran, President Evo Morales announced he was moving the country’s sole Middle Eastern Embassy from Egypt to Iran, a clear sign of what his strategic priorities in the Middle East are. According to Maradiaga and Meléndez, Nicaragua’s foreign policy strongly correlates with Venezuela’s, and any Latin American relationship with Iran is conducted through Caracas. President Ortega sees himself as a ‘revolutionary’ who supports Chávez’s political-ideological anti-imperialist ‘Socialism of the 21st century’. Francisco Aguirre Sacasa, a former Nicaraguan Foreign Minister, described Ortega’s relations with Iran as a ‘policy of the heart’. Iran promised Nicaragua US$1 billion in aid and investment to develop its energy and agricultural sectors, infrastructure and water purification facilities. The largest project was the construction of a deep water port on Nicaragua’s eastern shore, requiring an investment of US$350 million. Nicaragua received a US$231 million loan from Iran in 2007 to build a hydroelectric dam. In August 2008, Nicaraguan-Iranian relations were further consolidated when President Ahmadinejad donated US$2 million for the construction of a hospital. Iran will also expand media cooperation with Nicaragua. Iran has stationed about 20 Iranian officials at its Embassy there, which has by now become one of the largest in the country. However, Maradiaga and Meléndez claimed as late as mid-2008 that the proposed projects created the appearance of strong economic ties between the two nations but that there was little evidence that the aid and investment would materialise. They doubted that the relationship –held together by the anti-Americanism espoused by the leaders of both countries– would deepen beyond the ideological and political level. On the political level, Nicaragua is actually playing down US concerns about Iran’s nuclear-weapon ambitions and President Ortega publicly supported Iran’s right to ‘nuclear energy for peaceful ends’. Prior to 2007 ties were minimal and neither country had diplomatic or commercial offices in the other’s capital. In 2000, 2006 and 2007, no Ecuadorean exports reached Iran, and in 2003, the year with the highest volume of trade, Ecuador’s total exports to Iran were worth US$2.5 million. Ahmadinejad’s short and surprising visit to Rafael Correa’s presidential inauguration in January 2007 spawned a new bilateral relationship between the two countries. Correa maintained that the relationship was not political but based solely on commercial interests. The visiting President said that ‘deep cooperation between Iran and Ecuador in the international arena will help establish balance in the world equation’. According to César Montúfar there is little evidence of a growing commercial relationship between Quito and Tehran. The ties between Ecuador and Iran were established because of Ecuador’s relationship with Venezuela. Montúfar argues that as Venezuela’s influence in Ecuador is declining a similar decline in Iran’s relations with Ecuador has ensued. However, this evaluation was quickly contradicted by the facts. In the summer of 2008 the two countries opened commercial bureaus in their respective capitals. The Ecuadorean commercial bureau in Tehran was the only one to be opened by the government of Correa since he was elected. Iran and Ecuador signed an energy cooperation deal in September 2008, including a plan to build a refinery and a petrochemical unit in southern Ecuador. President Correa visited Iran in November 2008 and signed 25 bilateral agreements in various fields, including the oil industry. Correa, who is the first Ecuadorean head of State to visit Iran, travelled accompanied by the Ministers of Foreign Affairs, Oil and Mining, Agriculture and Defence, among other officials and business people. In December 2008 Ecuador and Iran signed an agreement of cooperation in the field of energy with the participation of Iran in hydro-electrical projects and in the tender for the construction of the important of Coca-Codo-Sinclair dam project. In December 2008, Iran’s Supreme National Security Council Secretary Saeed Jalili visited Ecuador. During the meeting with Jalili, Correa said his country’s relations with Iran were strategic and that he favoured the expansion of the military ties and customs cooperation between the two nations. ‘Links between Quito and Teheran are beyond trade relations’, Correa said. Finally, on 13 February 2009 Iran opened a brand new Embassy in Quito, an act coinciding with the 30th anniversary of the Islamic revolution in Iran. Fernando Armindo Lugo Méndez, a former Catholic bishop, was inaugurated as President of Paraguay on 15 August 2008 and headed the country’s first left-leaning presidency. Ahmadinejad was one of the first to congratulate Lugo on his victory. Iran’s media praised Lugo by calling him ‘a man of God and an enemy of the Great Satan’. The large Muslim population in Paraguay’s tri-border region aided Lugo’s campaign for the presidency through fund-raising drives that were supported by Iran and Venezuela. Lugo designated Alejandro Hamed Franco, Paraguay’s ambassador to Lebanon, as Foreign Minister. Hamed has publicly announced that he plans to strengthen ties with the Middle East. His appointment was sure to create tensions with the State Department due to his sympathies with anti-US developments in the Middle East and his acknowledged connections with US-banned groups. He was accused of providing Paraguayan passports to Lebanese citizens, although he claims they were only for those who were trying to escape Israeli attacks in 2006. In February 2009 an Iranian government delegation visited Paraguay to seek import and investment opportunities. The Iranian delegation hoped to import soya and meat from Paraguay and showed an interest in bilateral cooperation in technology and agriculture and in investing in Paraguayan real estate. During President Mohammad Khatami’s February 2004 visit to Caracas to attend the summit of the non-aligned G-15 he met the newly elected President Lula da Silva of Brazil and talked about bilateral trade. Since then, Brazil’s exports to Iran have doubled and it has been the latter’s largest Latin American trade partner for several years, with a volume of exports to Iran as large as those of neighbouring Turkey and India. However, when in September 2007 Ahmadinejad expressed his intention of going to Brasilia on an official visit –after speaking at the UN General Assembly and visiting Venezuela and Bolivia–, Brazilian diplomacy came out with the classic excuse: the impossibility of reconciling Lula and the Iranian President’s schedules. Still, Lula’s reluctance to meet Ahmadinejad did not prevent him from publicly supporting Iran’s nuclear energy programme and suggesting that Iran ‘should not be punished just because of Western suspicions it wants to make an atomic bomb’. During the visit in November 2008 of the Brazilian Foreign Minister Celso Amorim to Iran, his Iranian colleague Manouchehr Mottaki said that ‘Iran affords South America major priority in its foreign policy and Brazil enjoys a special position in this respect’ and that Tehran and Brasilia generally share the same interests in numerous global matters which can be used as a potential for bilateral consultations. Amorim, for his part, described the expansion of ties with Iran as a priority for Brazil’s foreign policy. He also referred to his meeting with Mottaki as a ‘turning point’ in Brazil-Iran relations and expected that the visits by the two nations’ Presidents would bring ties to a new level. On this occasion, President Ahmadinejad said there are no barriers to the expansion of ties with Brazil. ‘The (political) systems in the world are on the decline, and we should help each other and work for establishing a new (political) order’. Ahmadinejad expressed his hope that the visit to Iran of President Lula in the near future would further help build up the friendship between the two nations. In June 2008, the Uruguayan Vice-president Rodolfo Nin Novoa called for the further expansion of all-out ties with the Islamic Republic of Iran. He announced his readiness to pay a visit to Tehran to discuss the furthering of bilateral cooperation with the Iranian authorities and said that President Ahmadinejad had invited his Uruguayan counterpart to visit Tehran in the near future. He also announced Uruguay’s nomination of a new ambassador to Tehran and the formation of the Iran-Uruguay Parliamentary Friendship Group. Then, in October 2008, Fernando Alberto Arroyo became Uruguay’s ambassador to Tehran. Argentina has an Embassy in Tehran and Iran has an Embassy in Buenos Aires. Since 1994 relations between the two countries have been marred by Iran’s involvement in the AMIA bombing. Efforts to resolve the case were being made when much of the region was expanding its relations with Iran, and several of Argentina’s regional allies were pledging support for Ahmadinejad’s government. According to Iranian sources, during the 2004 G-15 summit meeting, despite Argentine President Nestor Kirchner’s interest in discussing bilateral economic ties, Khatami refused to meet him until ‘Buenos Aires formally apologised to Tehran for falsely charging Iranian diplomats with involvement in the bombing of the AMIA Jewish community centre in 1994’. Although Argentina maintains friendly relations with Iran’s allies, like Chávez, Ortega and Correa, Kirchner’s domestic agenda is driving him in a different direction. For example, he cancelled plans to attend President Correa’s inauguration ceremony after Ahmadinejad announced that he would attend. The continuing US conflict with Iran complicates matters further. At the 2007 UN General Assembly, the Argentine President urged Iran to help with the probe on the terrorist attack. This was not well received by the Tehran government, which responded angrily. The case has also caused tension with Chávez, an ally of the then President Kirchner. The Venezuelan ambassador to Buenos Aires, Roger Capella, was replaced after he criticised the Argentine justice system for seeking the capture of Iranian officials, upsetting the Argentine government. But this was not enough to weaken the ties between Argentina and Venezuela. In February 2007, the Iranian government organized the first International Conference on Latin America at the Institute of International Political Studies at the Foreign Ministry. The title of the conference was ‘Development in Latin America: Its Role and Status in the Future International System’. According to press releases, the participants also included Argentine members of parliament. Iran’s religious and intellectual penetration of Latin America, its attempts to convert Christians and Sunni Muslims to Shia Islam and thus export the ideology and revolutionary beliefs of Ayatollah Khomeini is similar to the trend seen today in the Middle East, although it clearly does not reach the same proportions. For instance, Sheikh Yousef Al-Qaradhawi, head of the Sunni International Union for Muslim Scholars and the Muslim Brotherhood’s main religious authority, has made harsh anti-Shia and anti-Iran statements in the Egyptian and Saudi press. He warned against the danger posed by the spread of Shia Islam in Sunni countries, characterising it as part of Iran’s campaign for regional hegemony. In another typical example, an article on a Sudanese website accuses Iran of having ‘turned its Embassy in Khartoum into a centre for spreading... Shia [Islam], aimed at prompting the Sudanese to forsake Sunni [Islam] and embrace Imami Shiism [instead]’. To ensure the success of this plan, various Iranian-funded facilities have been established around the capital, including cultural centres, libraries, institutions and schools. These establishments are actually missionary centres for spreading Shia Islam. ‘[Moreover], some of the recent converts to the Shia have begun to spread Shiite philosophy in the capital and around the country, among students and in the large universities’. A superficial surf of the Internet shows that Latin America is not immune from this phenomenon. Professor Ángel Horacio Molina (Hussain Ali), a researcher at the Centre of Oriental Studies of the National University at Rosario (Argentina), writes frequently for the Revista Biblioteca Islámica in El Salvador and moderates the Islamic blog oidislam.blogspot.com. The blog’s home page presents itself as ‘Islam Indoamericano, a space to develop a revolutionary and indoamerican Islam’. Molina is convinced of the importance of developing this revolutionary brand of Islam to enrich the Muslim umma (nation) worldwide. However, his space is also used to propagate opinions on ‘the political reality’ of the continent from an ‘Islamic revolutionary perspective’. Thus, the blog includes the speech by the Iranian ambassador to Mexico, Dr Mohammad Hassan Ghadiri, delivered on 11 February 2009 on occasion of the 30th anniversary of the Khomeinist revolution. Similarly, it has 10 articles in its chapter on ‘Islam Indoamericano’, 11 on ‘Islamic Resistance’ and 21 on ‘Zionism Uncovered’, all of which are anti-Israeli and anti-US. Among the recommended links are Hezbollah’s website and several Iranian or pro-Iranian websites in Spanish. *Unión de Mujeres Musulmanas Argentinas, http://www.umma.org.ar/. *United Latino Muslims of America (ULMA) [actually an Iranian site for Mexico and the Movimiento Mexicano de Solidaridad con el Pueblo Irani (MMSPI)], http://u-l-m-a.com/default.aspx. *Comunidad islamica Shia de Bolivia, http://usuarios.lycos.es/shiabolivia/. *Oficina de Divulgación Islámica Fátimah Az-Zahra/San Salvador/El Salvador, available in Spanish, English, French, Italian and Portuguese (! ), http://www.islamelsalvador.com/. *Corporación de Cultura Islámica, Santiago, Chile, http://www.islamchile.com/pagina.php. *Semanario Islámico, Temuco, Chile, http://www.islam.cl/. *Agencia de Noticias Coránicas de Irán, http://www.iqna.ir/es/. *Organización Cultural y de Relaciones Islámicas (OCRI), http://es.icro.ir/. Also, the pro-Iranian blog Imperialism and Resistance (http://almusawwir.org/resistance/), that combines leftist revolutionary rhetoric and messages with Islamist ideology, provides much Latin American news (almusawwir is one of the 99 names of Allah in the Quran: the Fashioner, the Bestower of Forms and the Shaper). All these websites contain not only legitimate religious or cultural texts and explanations, but also radical political anti-American, anti-Israeli and anti-Western material. The Islam-Shia website, for instance, recommends reading two books on Israel and Zionism by the Argentine radical right-wing ‘philosopher’ and strategist Norberto Ceresole: The Falsification of Reality; Argentina in the Geopolitical Space of Jewish Terrorism and The Conquest of the American Empire: Jewish Power in the West and the East. Not only that, but it also recommends the French Holocaust denier and ex-communist Roger Garaudy’s book The Fundamental Myths of the State of Israel and, to crown it all, The Protocols of the Elders of Zion. On a broader strategic level, Iran planned to open a television station ‘for all of Latin America’ to be based in Bolivia. Morales made the announcement at a gathering of coca farmers from the Chapare. The station would be ‘for all of Bolivia, for all of Latin America, recognising the great struggle of this peasant movement’, Morales said. According to recent information, the Iranian government has renounced, for unknown reasons, financing the installation of the TV channel in Bolivia, although an Iranian TV team visited Bolivia to follow its ‘political and cultural reality’. Farhi argues that the new-found intensity of Iran’s relations in Latin America is unsustainable. It is based on political opportunism, as a diplomatic thorn in America’s side, rather than on a more long-term economic or military partnership. Already, the proposed deepwater seaport is facing resistance in Nicaragua by land-rights activists. Iran’s real commitment to this project is also not clear and Tehran has so far refused to forgo Nicaragua’s US$152 million debt, despite Ortega’s specific request that it do so. Ultimately, Farhi predicts that while bilateral relations between Iran and individual Latin American countries will continue to gradually improve, based on economic give-and-take and a degree of shared commitment to non-alignment, the intensely vitriolic character of current relations is unlikely to continue beyond Ahmadinejad’s term in office. For instance, days after it was published that Iran had promised a loan to build a hydroelectric dam in Nicaragua, the opposition party Movimiento de Renovación Sandinista (MRS) criticised the government, claiming that the interest rates asked by Iran were double those offered by the World Bank and the Banco Interamericano de Desarrollo. Some have claimed that cooperation with Iran would permit President Ortega to renounce cooperation with the US and Europe, who require transparency and scrutiny. Similar criticism has been aimed at President Morales of Bolivia by Jorge Quiroga, the leader of the main opposition party, and by the Governor of Cochabamba, Manfred Reyes Villa. It is interesting to note that in Iran itself a group of students has criticised Ali Larijani, the Chairman/Speaker of the Iranian parliament, and President Ahmadinejad for the support they give President Chávez of Venezuela. The anonymous writer of this information on a leftist blog notes that there are social and political sectors in Iran that are opposed to the strengthening of relations with Chávez, not with the Venezuelan people. According to this analysis, the danger exists that the interesting and beneficial rapprochement of the last few years between Iran and Latin America could confront a grater danger: that relations will freeze at the level of the administrations and will not involve the peoples. The danger is that any change in political leadership, in Iran or in the Latin American countries, will actually result in a decrease in the present level of bilateral relations. Therefore, the big challenge will be to incorporate the social actors to bilateral cooperation. César Montúfar has commented that it is surprising and incoherent that the Iranian president and his government, while deepening the country’s ties with the leftist governments of Latin America, is implacably repressing its own leftist groups at home. The expansion of economic and political relations and cooperation with Latin American countries is also intended to bring Iran strategic assets in the Middle Eastern arena, its home turf. As already noted, the support Iran received on the issue of its nuclear project from Venezuela, Cuba, Nicaragua, Bolivia and even Brazil, is extremely important for the Tehran regime, especially if the UN imposes harsher economic sanctions and more states accept them. In the regional arena, Venezuela and Bolivia strongly supported Hezbollah during the Second Lebanon War in July-August 2006. President Chávez was extremely vociferous during that period. But the real test came during the last war in Gaza, when Israel started ‘Operation Cast Lead’ to deter Hamas from bombing Israeli territory and staging continuous terrorist activities against its citizens. Presidents Chávez and Morales fully embraced Iran’s position and complied with Ahmadinejad’s demand to sever diplomatic relations with Israel. The decision was taken after the visiting Iranian Minister of Industry and Mines, Ali Akbar Mehrabián, delivered a letter from his President to the leaders of Venezuela, Nicaragua and Cuba. Venezuela not only broke off its relations with Israel ‘given the inhumane persecution of the Palestinian people’, it also promised to request the prosecution of Israel’s leaders at the International Court for crimes against humanity and not to rest until they are punished. The visiting Iranian Minister of Cooperation, Mohammad Abbasi, delivered a similar letter from his President to the leaders of Brazil and Ecuador, who did not follow the Venezuelan and Bolivian example. According to Kaveh Afrasiabi, from Tehran’s point of view, an indirect benefit of its special relations with Bolivia is that it impresses on Moscow the services that Tehran can render in strengthening Moscow’s anti-unipolarist credo, which was spelled out by President Dmitry Medvedev in his major foreign policy speech in September 2008. Medvedev openly mentioned Russia’s intention of seeking a ‘sphere of influence’ in politics and made a point of mentioning that it would be sought ‘not only with neighbours’. Russian experts, including some at the Russian Centre for Strategic Studies, have pointed out that in the aftermath of the Georgia crisis Russia is inclined to strengthen its ties with countries such as Iran and Venezuela. The growing rift between the US and Russia is an opportunity for Tehran both to neutralise the UN Security Council’s efforts to impose tighter sanctions on account of its nuclear programme but also to explore further, and more meaningful, strategic cooperation with Russia and the Latin American leftist regimes vis-à-vis the common threat of US unipolarism. Ahmadinejad’s foreign policy advisors are openly counting on Iran’s new relations with Latin America as one of the net gains of his presidency. In fact, the new level of cooperation between Iran and Latin and Central American countries is a timely, further confirmation of the strategic vision and outlook that they have brought to the government compared to Mohammad Khatami’s aim of reaching detente with the West almost to the exclusion of all else. Iran is still the world’s ‘most active state sponsor of terrorism’, according to the US State Department in its most recent study on the subject. It is a label the Iranian regime has won, and worn proudly, since the US government began keeping track of terrorist trends more than a decade and a half ago. The scope of this support is enormous. According to government officials, Iran ‘has a nine-digit line item in its budget for support to terrorist organizations’. The figure is estimated to include US$10 million or more monthly for its principal terrorist proxy, Hezbollah, US$20-30 million annually for the Palestinian Islamist movement Hamas, US$2 million a year for the Palestinian Islamic Jihad, and –at least until recently– upwards of US$30 million a year for Iraqi insurgents. In 2006, the Assistant Secretary of State Thomas A. Shannon expressed his concern about the kind of relationship Chávez wants to have with Iran on the intelligence side. ‘One of our broader concerns is what Iran is doing elsewhere in this hemisphere and what it could do if we were to find ourselves in some kind of confrontation with Iran’, he said. In June 2008 Shannon declared that Iran ‘has a history of terror in this hemisphere, and its linkages to the bombings in Buenos Aires are pretty well established’. The 1992 suicide bombing of the Israeli Embassy in Buenos Aires is arguably the first Islamist terrorist attack in the Western Hemisphere. Although the attack has yet to be officially solved, the bulk of the evidence points to Hezbollah. A car, driven by a suicide bomber and loaded with explosives, smashed into the front of the Embassy and killed 29 people and injured a further 242. On 18 July 1994, the Argentine Jewish Mutual Association (AMIA) building was bombed, leaving 85 dead and 300 injured. This attack was the deadliest terrorist toll ever in Argentina’s history, and resulted in the largest Jewish death toll from terrorism outside Israel since the Second World War. The AMIA case has gone through many ups and downs, involving prosecution changes, witness tampering charges and several arrests that ended in release. On 25 October 2006, Dr Alberto Nisman, Argentina’s Attorney General, and Marcelo Martínez Burgos presented the findings of the special team which investigated the terrorist attack that destroyed the AMIA building. The detailed report unequivocally showed that the decision to blow up the building was taken by the ‘highest instances of the Iranian government’, and that the Iranians had asked Hezbollah, which serves as a tool for its strategies, to carry out the attack. The report did not ignore the fact that the attack was carried out for reasons connected to the conflict in the Middle East (including the abduction of Mustafa Dirani and the Israeli bombing of the Hezbollah training camp in the Beqa’a Valley). However, based on the evidence collected, it concluded that the fundamental reason was the Argentine ‘government’s unilateral decision to terminate the nuclear materials and technology supply agreements that had been concluded some years previously between Argentina and Iran’. On 9 November 2006, Judge Corral adopted the Attorney General’s recommendations and issued international arrest warrants for seven Iranians and one senior Hezbollah operative. The warrants were for the upper echelons of the former Iranian government, including the former President, Iranian diplomats posted to Buenos Aires and Imad Moughnieh, head of Hezbollah’s External Security Service and Hassan Nasrallah’s military deputy. In March 2007, INTERPOL’s Executive Committee, after considering written submissions and oral presentations from Argentina and Iran in connection with the 1994 bombing of the AMIA building in Buenos Aires decided to endorse and adopt the conclusions of the report prepared by INTERPOL’s Office of Legal Affairs to the effect that Red Notices should be issued for the following six individuals: Imad Fayez Mughniyah, Ali Fallahijan, Mohsen Rabbani, Ahmad Reza Asghari, Ahmad Vahidi and Mohsen Rezai. The Executive Committee also endorsed the Office of Legal Affairs’ conclusion that Red Notices should not be issued for the former President of Iran, Ali Rafsanjany, the former Minister of Foreign Affairs, Ali Akbar Velayati, or the former Ambassador to Buenos Aires, Hadi Soleimanpour. In November 2007, delegates at the 76th INTERPOL General Assembly upheld the unanimous decision made by the organisation’s Executive Committee to publish six of nine Red Notices requested in connection with the 1994 bombing of the AMIA building in Buenos Aires. It has been sufficiently demonstrated that in his capacity as head of Hezbollah’s external security apparatus, Mughniyeh was the person who received instructions from the Iranian Ministry of the Interior (after the decision was made to carry out the attack) and that he implemented these instructions by forming an operational group to carry it out. It is interesting to analyse the Iranian reaction to Mughniyeh’s assassination in February 2008 in Damascus. The honours bestowed upon the until then ‘invisible’ Mughniyeh were outstanding: the Iranian supreme leader Ayatollah Ali Khamenei hailedMughniyeh as a ‘great man’; Ahmadinejhad called him a ‘source of pride for all believers’; heading a high-level Iranian delegation, Iran’s Foreign Minister Manouchehr Mottaki attended Mughniyeh’s funeral in Beirut ‘to commemorate the great hero’ and expressed condolences ‘on behalf of the Iranian government and people’. Mughniyeh was projected as an Iranian hero who fought against Iraq and took part in several daring operations behind Iraqi lines. Iranian leaders uttered harsh statements against Israel, stronger even than Hezbollah’s. The Iranian ambassador to Syria, Ahmad Moussavi, warned that the death of Mughniyeh ‘will lead to an earthquake in the Zionist regime’. Ali Akbar Mohtashamipur, a cofounder of Hezbollah and current Secretary General of the International Committee for Supporting the Palestinian People, claimed Mughniyeh’s assassination was a ‘prelude’ to ‘very dangerous and major events in the next few months’. Strangely, after the Iranian Foreign Minister Manouchehr Mottaki met with senior Syrian officials in Damascus to discuss Mughniyeh’s assassination and announced a joint probe into the assassination, a Syrian official dismissed the report as ‘totally baseless’ and said Damascus would conduct the investigation alone. The result has not yet been made public, as it is immensely embarrassing for the Syrian government to explain how this wanted terrorist was on its soil. According to the investigation of Attorney General Alberto Nisman and District Attorney Marcelo Martínez Burgos, numerous pieces of evidence show that Argentina was infiltrated by Iran’s intelligence service, which in the mid 1980s began establishing a vast spy network that then became a complete ‘intelligence service’ that basically comprised: the Iranian Embassy and its cultural attaché in Buenos Aires; extremist elements that were associated with the Shiite mosques At-Tauhíd in Floresta, Al Iman in Cañuelas and El Mártir in San Miguel de Tucumán; the businesses referred to as ‘fronts’ –GTC and Imanco–; and other radicalised members of the Islamic community who were in Argentina for the sole purpose of gathering the information and making the arrangements that paved the way for the attack on AMIA on the morning of 18 July 1994. The situation seems to repeat itself today in Venezuela and Bolivia, but this time with the active or passive support of their governments, which are well aware of past intelligence Iranian activity in the continent. At the intelligence level, US officials say they are worried about the possibility of terrorists and Iranian intelligence agents arriving on the weekly flight between Caracas and Tehran. The State Department charged in an April terrorism report that ‘passengers on these flights were not subject to immigration and customs controls’. Bolivia’s President Morales has ordered his Foreign Minister to lift visa restrictions on Iranian citizens. The problem of visa-free Iranian travel is the potential it affords for the creation of a terrorist base of operations in the US’s backyard. If anyone with an Iranian passport can enter Bolivia without a visa or any further documentation, the country will soon be open to covert officers of Iran’s Ministry of Intelligence and Security, its Islamic Revolutionary Guard –which the State Department recently declared a terrorist organisation– and the Quds Force, an Iranian military group whose mandate is to spread Islamic revolution around the world. A further danger is if other Latin American countries follow the Bolivian lead and lift visa restrictions. Iran has already proved what it can do in Latin America with visa restrictions. Hezbollah’s presence and nefarious activity in South America is well documented. It was behind the two deadliest terrorist attacks in the continent’s history: the Israeli Embassy and the Jewish community centre bombings in Buenos Aires, which took place in the early 1990s. Hezbollah also established a significant presence in the ‘tri-border area’ (TBA, where Argentina, Brazil, and Paraguay converge) using local businesses, drug trafficking and contraband networks to launder funds for terrorist operations worldwide. Since 9/11, under US pressure, local governments in the tri-border area and other countries, like Chile and Colombia, have monitored and discovered part of the wide Hezbollah network active in the continent. However, despite the arrest of important activists in Paraguay, Brazil and Chile, mainly for economic crimes or narcotics trafficking, this large Hezbollah network continues to be active on the continent. Increased focus on the TBA after Hezbollah-linked bombings in Buenos Aires and again after the September 11 attacks in the US led to an increased understanding of Hezbollah’s fundraising operations, but also led Hezbollah to shift them to other Latin American countries, making their location, nature and extent largely unknown. Evidence linking Hezbollah to the emergence of Islamic mosques in Ecuador, that promote radical religious views consistent with Hezbollah’s ideology, indicates that it recognises the need to increase its ideological support base in Ecuador. Hezbollah’s promotion of radical religious ideology in Ecuador is consistent with its organisational use of radical ideology to increase its legitimacy by mitigating any sources of opposition from members of its radical constituency in response to increased participation in the Lebanese political system. This relationship specifically identifies diasporas as strategically valuable to terrorist operations and results in several important policy implications for their treatment by host-nations determined to combat terrorist operations. In June 2005 Ecuadorean police broke up an international cocaine ring led by a Lebanese restaurant owner suspected of raising money for Hezbollah. The Lebanese ringleader, Rady Zaiter, had organised a large narco-terrorist infrastructure using his Arab food restaurant in northern Quito as a front. The Ecuadorean investigation led to related arrests of 19 people in Brazil and the US. In 2001, the Colombian Technical Investigation Corps (CTI) arrested a Lebanese businessman, named Mohammed Ali Farhad, with ties to Hizbollah for managing a US$650 million cigarette smuggling and money laundering operation between Ipiales, Colombia, and ports in Ecuador. The Farhad investigation established a link with a Hezbollah-backed money-laundering operation run by Eric and Alexander Mansur, through the Mansur Free Zone Trading Company NV129. On 21 October 2008 US and Colombian investigators dismantled an international cocaine smuggling and money laundering ring that allegedly used part of its profits to finance Hezbollah. The authorities arrested at least 36 suspects, including a Lebanese linchpin in Bogota, Chekry Harb, who used the alias ‘Taliban’. The authorities accused Harb of being a ‘world-class money launderer’ whose ring washed hundreds of millions of dollars a year, from Panama to Hong Kong, while paying a percentage to Hezbollah. The suspects allegedly worked with a Colombian cartel and a paramilitary group to smuggle cocaine to the US, Europe and the Middle East. Harb travelled extensively to Lebanon, Syria and Egypt and was in phone contact with Hezbollah members. According to the Los Angeles Times, a credible intelligence source claimed that Hezbollah and the Revolutionary Guard of Iran have formed terrorist cells to kidnap Jews in South America and smuggle them to Lebanon. The source alleged that Venezuelans have been recruited at Caracas’ airport to provide information about Jewish travellers. In June 2008 the US Treasury Department froze the assets of two Venezuelans after having designated them as Hezbollah supporters and accusing them of raising funds for the organisation. Ghazi Nasr al Din, a Venezuelan diplomat of Lebanese ancestry, is accused of using his position at embassies in the Middle East to raise funds for Hezbollah and of discussing ‘operational issues with senior officials’ of the militia. In late January 2006, Nasr al Din facilitated the travel of two Hezbollah representatives at the Lebanese Parliament to Caracas to solicit donations and to announce the opening of a Hezbollah-sponsored community centre and office in Venezuela. He is currently assigned to Venezuela’s Embassy in Lebanon. The second Venezuelan noted by the Treasury Department is Fawzi Kanan, a Caracas-based travel agent. He is also alleged to have facilitated travel for Hezbollah members and to have discussed ‘possible kidnappings and terrorist attacks’ with senior Hezbollah officials in Lebanon. Instead of opening an investigation, Chávez said that the world was using the allegations to ‘ make a move’ against him. The Venezuelan Foreign Minister Nicolas Maduro lashed out at the US: ‘If they want to search for terrorists, look for them in the White House’. A Kuwaiti newspaper reported that Hezbollah was training young Venezuelans in military camps in south Lebanon to prepare them for attacking American targets. It was reported a few months later that the Venezuelan Minister of the Interior, Tarek El Aissami, was working directly with Ghazi Nasr al-Din to recruit young Venezuelans of Arab descent that were supportive of the Chávez regime to train in Lebanon with Hezbollah. Reportedly, the purpose was to prepare these youths for asymmetric warfare against the US in the event of a confrontation. According to this report, Hezbollah also established training camps inside Venezuela, complete with ammunition and explosives, courtesy of El Aissami. Chávez, meanwhile, is perhaps the most open apologist for Hezbollah in the hemisphere. During the Israel-Hezbollah War of 2006, Chávez withdrew the Venezuelan ambassador to Israel. He later accused Israel of conducting its defensive war in ‘the fascist manner of Hitler’. After making the comments on al-Jazeera television, Chávez returned home and continued to malign Israel on his weekly television broadcast, Aló Presidente. It comes as no surprise that Hezbollah’s director of international relations, Nawaf Musawi, attended an April 2008 ceremony at Venezuela’s Embassy in Beirut commemorating the sixth anniversary of the defeat of the anti-Chávez uprising in Venezuela. As an invited speaker, Musawi praised the survival of President Chávez’ Bolivarian Revolution while denouncing the US and ‘other powers that try to defeat the sovereignty and free will of the combative peoples of the world’. Probably the most striking and worrying trend has been the appearance in 2006 of a strange group calling itself ‘Hezbollah América Latina’, claiming to be active in Argentina, Chile, Colombia, El Salvador and Mexico. Actually, the organisation’s backbone seemed to be ‘Hezbollah Venezuela’, led by one Teodoro Rafael Darnott who pretended to lead the Latin American ‘network’. They presented themselves also as a group of converted Wayuu Indians, Autonomía Islamica Wayuu, and issued a strategic statement titled ‘The Jihad in America will Begin in 2007’. This ‘organisation’ has been analysed in detail by this author and the Spanish researcher Manuel Torres Soriano. On 23 October 2006, José Miguel Rojas Espinoza, a 26-year-old student of the state-run Bolivarian University, was arrested after the Baruta Municipality police found two explosive devices near the US Embassy in Caracas, Venezuela. One of the bombs was found in a box containing leaflets making reference to the Lebanese Hezbollah, while the other device was found outside a school, near the diplomatic premises. According to the local police, the idea was apparently to create alarm and publicise a message by scattering the pamphlets. It is possible that the second device was intended to explode near the Israeli Embassy but the suspect became nervous and dropped it near the US Embassy. ‘Hezbollah Latin America’ claimed responsibility for the attack on its website and promised it would stage other attacks, with the same goal of publicising the organisation. The website presented Rojas as ‘the brother mujahedeen, the first example of dignity and struggle in the cause of Allah, the first prisoner of the revolutionary Islamic movement Hezbollah Venezuela’. Already on 18 August 2006 the organisation threatened to explode a non-lethal device against an ally of the US in a Latin American city in order to launch its propaganda campaign. ‘Hezbollah Venezuela’ would see this as the beginning of its war against imperialism and Zionism and to show its solidarity with the Lebanese Hezbollah after the July war in Lebanon. The leader of ‘Hezbollah Venezuela’, Teodoro Darnott, traces the origins of the organisation to a small Marxist faction called ‘The Guaicaipuro Movement for National Liberation’ (Proyecto Movimiento Guaicaipuro por la Liberación Nacional, MGLN)”, which struggled against the oppression of the poor, indigenous peasants in the Valle de Caracas region. Darnott presented himself as Commander Teodoro, in a clear imitation of Subcomandante Marcos, the Mexican guerrilla leader in Chiapas. According to this account, the MGLN did not withstand the pressure of the security forces and was forced to retreat to Colombia. The group returned after five years to Venezuela to convert into Hezbollah, without a clear explanation for its metamorphosis. Darnott denied any link between ‘Hezbollah Venezuela’ and the Lebanese Hezbollah. Indeed, the religious and ideological foundations of his documents are very poor and superficial. In his article, Soriano emphasises the group’s leftist revolutionary background and rhetoric. Soriano considers that the group has a significant synergy with the so-called Bolivarian revolution in Venezuela. In one of its ideological editorials, the group expresses enormous respect and positive appreciation for the achievements of Hugo Chávez’s regime: ‘Hezbollah América Latina respects the Venezuelan revolutionary process, supports the policies of this process concerning the social benefices for the poor and the anti-Zionist and anti-American policy of this revolution’. However, the group does not accept a socialist ideology, not because it opposes it, but because Hezbollah’s ideology is ‘theocratic and obeys divine rules’. Therefore, for a new Venezuela to emerge, the revolution should aspire ‘to the divine and the moral’ and should firmly support Hezbollah ‘political-military project’. On 2 November 2006 ‘Hezbollah Venezuela’ announced, ‘out of respect for the revolution and its leader’, that it would suspend its activities until after the elections of 3 December 2006, the day of the presidential elections in Venezuela, a show of solidarity with the regime and an attempt not to hamper it during the last days of the election campaign. Several weeks later Teodoro Darnott was arrested in Maracaibo, and practically nothing was published by the Venezuelan authorities about his fate. Until recently this ‘episode’ in the short history of ‘Hezbollah Latin America’ had not allowed the drawing of any clear conclusions regarding the group’s real characteristics and goals and its relationship with the Lebanese Hezbollah. However, in December 2008 Teodoro Darnott and José Miguel Rojas were sentenced to 10 years imprisonment for their terrorist attack against the US Embassy, and here begins the surprise. In October 2008 Darnott opened a blog, apparently from prison, in which he described his religious and political beliefs and presented, apologetically, his past activity. He described himself as a mujahedeen ‘criollo’ (born in Latin America of European descent) with the new name of Teodoro Abdullah. Darnott no longer presents himself as the leader of ‘Hezbollah Venezuela’, but as a theocratic political-religious leader, ambassador and precursor of theocracy for Latin America. His very simplistic, primitive ideas propose for the continent, and for Venezuela, a theocratic nation, society and way of life and a new culture and civilisation of the divine. For him, ‘Hezbollah Venezuela’ –along with Osama bin Laden and other mujahedeen– are not terrorists but jihadists fighting the US and the secular state of Israel, the defenders of the abhorred capitalist order and democracy. It is not the intention here to analyse Darnott’s religious ‘world view’ but mainly to discover the political and operational reality behind ‘Hezbollah Venezuela’ and ‘Hezbollah América Latina’ and the links between this project and the Lebanese Hezbollah. For the first time this endeavour is possible due to the publication by Darnott in his blog of a 100-page biography. A detailed analysis of Darnott’s biography provides an insight into the process of radicalisation and cooption to the Hezbollah network in Latin America. However, the document requires a more thorough study to check and confront on the ground the large amount of information cited about people and organisations. Darnott’s first contact with Islam was in Maicao, Colombia, where he met a Lebanese Shia, Musa Rada, who taught him Islam. He began to visit the local mosque and read theological books and the journal Azakalain (sic). Rada proposed that he study Islam at the Kausar Islamic Institute in Cali, Colombia. The Shia Association in Maicao paid his travel expenses to Cali, where he was already expected. There he was awaited by one Rashi, a leader of the Muslim community of African descent. The Institute’s Director was Abdul Karin, a university professor. Darnott describes the studies there as informal and without discipline. He returned to Maicao with the intention of integrating himself in the local Arab community. He continued his activities in the framework of MGLN. He was also in contact, through his companion Gerardo Ortiz Palencia with the guerrilla organisation FARC-EP in the Cúcuta region, under the leadership of Comandante Rodrigo, active in the Norte de Santander department, in Pamplona, Pamplonita and Cúcuta. After visits to poor Muslim communities in Santa Marta and Cartagena he decided to go to Bogotá, where he met a surgeon, Dr Juventino Martínez, who introduced him to José Gabriel Jiménez, known as Yahia (Juan). According to Darnott, the Muslim community in Bogotá is made up of various groups, including the Asociación Islámica de Bogotá, which includes Palestinian, Lebanese and other Arab members. The second group is La Sociedad Islámica de Bogotá, under the leadership of the Colombian Imam Dr Carlos Sánchez and a Kuwaiti. According to ‘clandestine sources’ the restaurant and free meals at this organisation are financed by al-Qaeda, and therefore many Colombians fear visiting it. The third group is the Centro Cultural Islámico de Bogotá, under the leadership of Dr Julián Zapata. When Dr Julián Zapata went to study in the Middle East, Dr Juventino Martínez was appointed head of the Centro Cultural Islámico de Bogotá, but soon the financial resources ‘disappeared’ and the Centre was on the verge of closing down. As he found no interest in Bogotá for his ‘liberation struggle project’ for the Wayuu people, Darnott travelled to Bucaramanga, Santander. There he was approached by the Roman Catholic Bishop, Alfredo Vesgas, who proposed that he become a priest in the Guajira diocese. He accepted, as this served as a cover for his clandestine activities. At the same time, under the influence of a ‘revolutionary’ priest, Padre Chucho, he finally found the ‘one and true God’, the God of liberation and salvation. He continued his studies of Islam and theology at the local mosque in Maicao and through the Internet and developed an ‘Islamo-Christian theology of liberation’, a mixture of the theologies of Imam Khomeni and Gustavo Gutiérrez. It was then, according to Darnott, that he really converted to Islam and the first thing he did was to change the symbols and messages of the MGLN, which became the Autonomía Islámica Wayuu (Wayuu Islamic Autonomy). Some accepted the changes while others left the community, but the move fostered closer links with other Islamic entities and many Muslims joined the movement, which called itself ‘revolutionary Islamic’ and accepted the messages of ayatollah Khomeini. One day, a certain Nik made contact with Darnott, and after a period of discussions and e-mail exchanges, the man disclosed that his real name was Mohamed Saleh, of Lebanese origin, who worked as a professor at the University of La Plata in Argentina. Saleh told Darnott that he was working for the Iranian government, that he was an important member of Hezbollah in Argentina and at the same time the leader of Hizbul Islam for Latin America, an Islamic party present in Uruguay and Paraguay. According to Darnott, Hizbul Islam is actually Hezbollah. His Arab friends in Maicao confirmed that Mohamed Saleh was a professor at the Universidad de la Plata and a member of Hezbollah. Saleh informed Darnott that the leadership of Hizbul Islam had approved his nomination as its representative in Venezuela, but on condition that he renounced all his work on the Internet. From Darnott’s point of view this meant renouncing to four years of intensive professional revolutionary work on the web. Mohamed Saleh frequently called Darnott to his Maicao phone number during the last six months of 2006. They exchanged e-mails and in one message Saleh proposed passing on weapons that Hezbollah had in Paraguay: 400 Kalashnikovs, bazookas and ammunition. FARC-EP was supposed to help transfer the weapons to Colombia. The agreement stipulated that the MGLN would be transformed into a Hezbollah cell into which Muslims would be recruited. The first meeting with Mohamed Saleh was planned for 2 October 2006, after which ‘Hezbollah Venezuela’ became an organised group under the orders of the organisation’s council in Latin America. He did not provide Darnott with any further details but informed him that the organisation was responsible for bombing the AMIA building in Argentina. Darnott describes in great detail his organisational work in Guajira to form ‘Hezbollah Venezuela’, the persons involved, the rivalries and betrayals. He stresses the importance of the work on the Internet for recruiting and propaganda and the fact that the Second Lebanon War gave a lot of publicity to his ‘organisation’. He candidly notes that the protests by Jewish organisations against his threats and the media attention it received helped enhance the group’s visibility and outreach. Finally, as regards the failed bombing at the US Embassy, Darnott claims that although he new about the planning he did not support it and accuses the perpetrators of lack of ‘professionalism’. Actually, his declaration of jihad, his threat to attack US and Jewish targets and the bombing itself were intended to give publicity to his ideas, to serve as ‘loud speakers’ to divulge his ideas and organisation. In the end, however, he does not explain the Lebanese Hezbollah’s role in the group’s ‘military’ activity and what happened to their relationship after the failed terrorist attack. What made ‘Hezbollah Venezuela’ worthy of attention was the timing of its activities. It became visible at a time when ‘the strange liaison’ between Hugo Chávez and the Iranian President Ahmadinejad had become an item of international interest. Moreover, despite the long detention of Darnott and Rojas and the information the Venezuelan security forces already had about the group, the government did not provide any details about who is really behind the network. Teodoro Rafael Darnott, probably in jail, recently threatened the US saying that ‘If the United States were to attack Iran, the only country ruled by God, we would counterattack in Latin America and even inside the United States itself. We have the means and we know how to go about it. We will sabotage the transportation of oil from Latin America to the US You have been warned’. The current Argentine government is unsympathetic to radical organisations or regimes, but there are many active groups and movements of the radical right and left in the country which have often expressed anti-Semitic, anti-Israeli and anti-US views. The difficulties in the long investigation and prosecution of the terrorist bombings of the Israeli Embassy and AMIA building, which at times involved the arrest and trial of rightist or corrupt people, bear witness to the tolerance of such radical activities. A past analysis of ‘Hezbollah Argentina’ showed a strikingly different picture from that of ‘Hezbollah Venezuela’. While the Venezuelan group is based on indigenous Wayuu Indians with a strong leftist background and revolutionary rhetoric, the Argentine group seems to include radical rightist mixed with leftist populist elements; the two trends have very close relations with the local Arab Shia community and the Iranian regime. The rightist influence is clear in the publication of some of the most anti-Semitic, anti-Israeli and anti-American texts of Norberto Ceresole, the same whose pamphlets were published in the Islam-Shia website. Ceresole made contact with the Iranian regime immediately after the bombing of the Jewish AMIA building in 1994 and visited Iran and Lebanon. Ceresole considered Iran, since the Khomeini revolution, to be ‘the centre of resistance to Jewish aggression’ and the only state that has supplanted ‘the secular Arab resistance’ in fighting the Jewish State. The more popular leftist trend is present in the group’s cooperation with Quebracho, a small Argentine militant group. The Patriotic Revolutionary Movement (Movimiento Patriótico Revolucionario, MPR, or Quebracho) claims to be a political organisation fighting for ‘a socially just, economically independent and politically sovereign country’ for the ‘National Antiimperialist Revolution’. Quebracho militants refuse to define themselves as leftist or rightist. They consider themselves ‘revolutionary patriots’ in the framework of the Latin American liberation struggle. The Islamic Association of Argentina mainly consists of converts to Shiism (while there are few Argentines who convert to Sunnism) and cooperates closely with the Iranian Embassy. The Association and its religious leader, Sheikh Abdala Madani, clearly identify themselves with the Iranian regime. The link appeared on their website and Khomeini posters are carried at every anti-Israel demonstration. Things have not changed much in Argentina. If one looks at information and photos in the media covering the July 2006 march in Buenos Aires in solidarity with the Palestinian people, just days before bigger pro-Hezbollah manifestations were staged during the Second Lebanon War, the same Iranian-sponsored and linked groups appear: Organización Islámica Argentina (OIA), Mezquita At-Tauhid, Asociación Argentino Islámica (La Plata), Mezquita Ash-Shahid (Tucumán), Mezquita Al-Imam (Cañuelas) and the leader of the Asociación Argentino Islámica, Sheikh Abdala Madani. To be sure, Ayatollah Khomeini’s portrait is ubiquitous. On 17-19 September 2004 activists held an ‘International Strategy Meeting’ in Beirut under the title ‘Where Next for the Global Anti-War and Anti-Globalisation Movements?’. The Beirut conference emerged from a process that began at a May 2003 antiwar conference in Jakarta and continued at an antiwar assembly at the Mumbai World Social Forum in January 2004. The main conveners included Focus on the Global South (Thailand), a ‘key player in the global movement’, and the Civilian Campaign for Protection of Palestinian People (France). The rest of the working group that organised the conference hailed from Argentina, South Africa, Japan, France, Nicaragua, India, the Philippines, Italy, Brazil, Greece, the UK and the US, reflecting the broadly international and south-weighted character of the initiative. Some 300 individuals from 50 countries participated in the conference, representing various antiwar coalitions, social movements, NGOs and other groups. The Arab sponsors (the Lebanese Welcoming Committee) included ‘progressives, seculars, and Islamists’, such as Hezbollah, the Lebanese Communist Party and the Progressive Socialist Party of the Druze leader Walid Jumblatt. Joining them were activists from Syria, Egypt, and Morocco and Palestinian areas as well as a delegation of Iraqis. The decision to hold the meeting in the Middle East was part of a conscious effort to build closer links with antiwar and anti-corporate globalisation activists in the region. Hezbollah is not known for its antiwar or antiglobalisation stance and had never before participated in such a conference. It was invited because a group of radical Italian leftists insisted. Hezbollah was described at the conference as ‘one of the leading welcoming organisations [and] an example of successful, targeted and organised resistance’. Ali Fayad, member of Hezbollah’s Central Council and Chairman of the Academic Centre for Documentation, stressed that Islam’s message is one of unity and collaboration, not division, and that the conference was held in Beirut because Lebanon’s resistance ‘defeated the Reagan project for the Middle East in the 1980s... [and] liberated the land from occupation’. It seems that Hezbollah decided to jump on the antiglobalisation bandwagon at a sensitive moment in the war on terror and the situation in Iraq –both fragile, explosive situations that could decide the course of future events in the Middle East–. Four years after the first Beirut anti-globalisation conference, and during Israel’s ‘Cast Lead’ operation against Hamas violence from Gaza, Hezbollah clearly took the lead and sponsored a similar gathering. Dr Ali Fayyad, the Director of the Consultative Centre for Studies and Documentation in Beirut, who hosted the Beirut Forum, laid out its goals: ‘In this part of the world the resistance is Islamic. The resistance movement here must introduce themselves to other forces of resistance to imperialism around the world. The ideological differences must be postponed. The resistance must prevail... An important goal of the forum is how, despite the ideological contradictions, to find how to work together hand in hand to achieve unity against imperialism’. The Beirut International Forum for Resistance, Anti-Imperialism, Solidarity between Peoples and Alternatives, held from 16 to 18 January 2009, assembled 400 delegates from all continents. The largest number of delegates came from the Arab world, including the Ba’ath and Communist Parties of Syria and Iran, but there were also many from Latin America, including 30 from the Bolivarian Republic of Venezuela. Guests from Venezuela comprised members of parliament, unionists and youth from both the United Socialist Party (PSUV) and the Communist Party of Venezuela (PCV). A prime organiser of the conference was Mohamed Kassem, a leader of the Lebanese teachers’ union. ‘For the first time, in Lebanon’, he said, ‘we have created a platform for struggling people all over the world, secular, nationalist, leftist and Islamic to speak their views and work together, against the wars in Palestine, Iraq and Afghanistan, against the threats to Iran and the sanctions on Sudan, against the blockade of Cuba and the attempts to block the revolutionary direction in Venezuela, Bolivia and across Latin America... We are building mechanisms of international cooperation and South-South solidarity, and we plan to intensify those efforts in the future’. This Forum, where Latin America, Asia and the Near East were strongly represented, embodied the spirit of the Tri-continental. The final declaration of the conference, besides the usual anti-Israeli and anti-American resolutions, related to specific Latin American issues. It saluted ‘Venezuelan President Hugo Chávez as well as Bolivian President Evo Morales for their support for the peoples’ resistance’ and expressed ‘total support with the struggle of these two leaders against any intervention of the United States in Latin America’. It called for the lifting of the blockade on Cuba and the release of Cuban prisoners held in US prisons and it condemned ‘the alliance between the USA and the neofascist government of Colombia that for four decades has terrorized its own people and worked to destabilize the progressive governments of Latin America’ and declared ‘their support to the revolutionary movements in struggle against this regime’. In the opening session Hezbollah’s Deputy Secretary Sheik Naim Kassem ‘captured the common spirit of the assembly: Today there are only two camps in the world. The one of US imperialism and its allies and the other one of the resistances; regardless of their ideological, cultural or religious affiliation. The resistances must be unified against its common enemy. This is only possible by respecting the diversity of the resistance movements’. Although planned long ahead of the war in Gaza, the entire event was marked by a ‘profound support of the Palestinian resistance struggle in Gaza’. Nobody, not even the forces present from non-Islamic countries, used Hamas’ leadership of the resistance in Gaza as a pretext to reject support for the resistance, as had been common in the past. However, notes a radical leftist reporter, ‘[c]areful participants of the Beirut Forum could notice a certain wariness to lend the same support to the Iraqi and Afghan resistance as they do for Palestine. This wariness is due to the interests of Iran as a regional power; interests which do conflict with these resistances. Given Iran’s record of support to the Iraqi regime installed by the US occupiers the message by the Iranian president to the forum rightly denouncing the Arab regimes which follow Israeli and US interest as traitors appears somewhat vapid’. A representative of the Turkish conservative Islamist group Ozgur Der at the Beirut Forum asked the participants to reach and build bridges of understanding between opposition forces; to ‘globalise activist networks from IT workers to European Muslim minorities, from Gaza to local activists of Vancouver, from suburbs of Somalia to poor people of Harlem, from oppressed Kurdish people of Turkey to mine workers of Nigeria, from EZLN of Mexico to MNLF of Philippines, from HAMAS to European left, from Venezuela to Iran’. Again and again, the importance of the Venezuelan link to Iran and its ‘revolutionary’ global role was stressed during this multi-national radical forum. Although the reports spoke of ‘many participants from Latin America’, according to the list of 100 adherents to the event only Venezuela was represented, possibly by some 30 people from ‘De Primera Mano Venezuela’, ‘Azequiel Zamora Venezuela’ and ‘APORREAR Venezuela’ groups. According to an official report of the Venezuelan Ministry of Popular Power for Communication and Information, the Grupo Parlamentario Venezolano del Parlamento Latinoamericano (Parlatino, GPVPL) ‘actively participated’ in the Beirut Forum. Deputies of the GPVPL, such as Víctor Chirinos, Carolus Winmer, Víctor Hugo Morales, Yul Jabour and Vidal Cisneros, participated in the ‘event of solidarity to the Palestinian people and against the genocide committed by the Israeli army’. Carolus Wimmer, Vice-president of the GPVPL and Secretary for International Relations of the Partido Comunista de Venezuela (PCV), hailed the support given at the conference to President Chávez for his ‘courageous’ decision to sever diplomatic relations between Venezuela and Israel, asked all the ‘progressive’ governments around the world to follow Venezuela’s and Bolivia's example in this and asked for an oil embargo against Israel and the expulsion of the Jewish state from the United Nations. This long paper gives a glimpse of the extensive Iranian and Hezbollah presence and activity in Latin America. The problem with this presence and activity is that it goes beyond the normal political, economic, social and cultural levels and creeps into the dangerous area of terrorism and subversion, threatening not only outside actors and interests but possibly the very stability of the host countries. It is evident that Iran’s political and strategic standing in Latin America strengthens the Tehran regime and diminishes the possibility of UN-backed international diplomatic and economic pressure to convince it to renounce its nuclear project. Thus, indirectly at least, it enhances the threat of Iran’s nuclear hegemonic projection vis-à-vis the moderate Arab states, with all that this means for the stability of the Middle East, the stability of oil prices and nuclear proliferation to other states in the region. The Bolivian decision to move its Embassy from Cairo to Tehran is one small move in this direction. The proved Iranian and Hezbollah involvement in the worst terrorist attacks on the continent, in Buenos Aires, Argentina, is a bad omen for the future. In the event of Iran’s vital interests –such as the survival of its nuclear project– being threatened by the international community, by the US alone or by Israel, Latin America would be a preferred ground for retaliation, directly or with Hezbollah’s support. The Hezbollah leadership could decide, based on its practical immunity in the past, that to avenge the death of the arch-terrorist Imad Mughniyeh or some serious incident on the border with Israel would be easy in Latin America. Recently it became known that such attempts have been foiled in Azerbaijan and in an unnamed European country. In the longer term, exporting radical Shiite ideological and religious teaching could serve to influence large sectors of society, especially the poorest and most deprived, and thus add another element of instability and radicalisation in a continent already plagued by socio-economic hardship. Growing anti-Semitism, as witnessed lately in Venezuela, could add to the existing sectarian turmoil in some countries. And what if Iran were to decide to deploy its long-range missiles in Venezuela at the request of President Chávez, if he were to feel threatened? Given Chávez’s invitation to the Russian Navy to visit his country, such a nightmarish scenario might be possible. ‘Paraguay’s Persian Presence: Iran’s New Friend in Latin America’, Council on Hemispheric Affairs website, 21/VIII/2008, http://www.coha.org/2008/08/paraguay%E2%80%99s-persian-presence-iran%E2%80%99s-new-friend-in-latin-america/. Farideh Farhi, ‘Iran in Latin America: Threat or Axis of Annoyance?’, draft prepared for the Conference Iran in Latin America: Threat or Axis of Annoyance, Woodrow Wilson International Center for Scholars, Washington DC, 10/VII/2008. ‘The Oppenheimer Report. Beware Iran in Latin America’, The Miami Herald, 30/IX/2007. Parisa Hafezi, ‘Iran, Venezuela in “Axis of Unity” against US’,"Reuters, 2/VII/2007. ‘Iran to Re-open Embassies in Latin America’, IRNA, 27/II/2007. Elodie Brun, ‘La place de l’Iran dans la politique étrangère du Venezuela’, draft paper prepared for the Conference Iran in Latin America: Threat or Axis of Annoyance, Woodrow Wilson International Center for Scholars, Washington DC, 10/VII/2008. Thérèse Delpech, ‘Le Moyen-Orient de Mahmoud Ahmadinejad’, Politique Internationale, nr 114, Winter 2007. Daniel P. Erikson, ‘Ahmadinejad Finds it Warmer in Latin America’, Los Angeles Times, 3/X/2007. Tehran Fars News Agency, 26/VII/2007. Ian James, ‘Iran Raises Profile in Latin America’, Associated Press, 27/XI/2008. Kaveh L Afrasiabi, ‘Iran and the Left in Latin America’, Asia Times Online, 4/IX/2008. World War 4 Report website, 3/X/2008. Félix Maradiaga & Javier Meléndez, ‘Relaciones bilaterales Irán – Nicaragua a un año del Gobierno Sandinista: ¿Retórica o Política Exterior Anti-Sistema?’, draft paper prepared for the Conference Iran in Latin America: Threat or Axis of Annoyance, Woodrow Wilson International Center for Scholars, Washington DC, 10/VII/2008. Maradiaga & Meléndez, Relaciones bilaterales Irán – Nicaragua. James, ‘Iran Raises Profile in Latin America’. ‘Correa Views Iran-Ecuador Relations as Strategic’, FNA, 7/XII/2008. César Montúfar, ‘El reciente acercamiento diplomático entre Ecuador e Irán ¿Gesto de afirmación soberana o tibio alineamiento geopolítico?’, draft paper prepared for the Conference Iran in Latin America: Threat or Axis of Annoyance, Woodrow Wilson International Center for Scholars, Washington DC, 10/VII/2008. ‘Iran and Ecuador Vow Closer Ties’, Reuters, 6/XII/2008. ‘Ecuador, Iran for Strategic Relations’, Prensa Latina, 7/XII/2008. ‘Irán inaugura embajada en Ecuador’, Prensa Latina, 13/II/2009. The US had advised Lugo against awarding Hamed the post of Foreign Minister and reminded the incoming President that, as a supporter of Hamas and Hezbollah –considered terrorist organisations by the US– the new Foreign Minister would be denied a US visa and would not be allowed to fly on US airlines. John Kiriakou, ‘Iran's Latin America Push’, Los Angeles Times, 8/XI/2008. ‘Iran Eyes Enhanced Cooperation in Trade, Technology with Paraguay’, Xinhua, 4/II/2009. Farhi, Conference Iran in Latin America: Threat or Axis of Annoyance. Denise Chrispim Marin, ‘Itamaraty Avoids Ahmadinejad, Lula Summit’, Agencia Estado, 25/IX/2007. ‘Brazil’s Lula Defends Iran’s Nuclear Rights’, Reuters, 25/IX/2007. ‘Brazil a Priority for Iran’, Press TV, 2/XI/2008. ‘Ahmadinejad Blesses Brazil Interaction’, Iran Daily, 2/XI/2008. Tehran IRNA News Agency, 18/VI/2008. Tehran Times, 28/II/2004. The Group of 15 (G-15) was established at the Ninth Non-Aligned Movement Summit Meeting in Belgrade, Yugoslavia in September 1989 to foster cooperation and provide input for other international groups, such as the World Trade Organization and the G-8 (Group of Eight rich industrialised nations). It is composed of countries from North America, South America, Africa and Asia with a common goal of enhanced growth and prosperity. L. Azouri, ‘Recent Rise in Sunni-Shi’ite Tension (Part I): Sunni-Shi’ite Hacker War on the Internet’, MEMRI Inquiry and Analysis, nr 480, 16/XII/2008. Cited in ‘Saudi and Sudanese Writers Warn of “Shi’ite Octopus” Taking Over Sudan’, MEMRI Special Dispatch Series, nr 2079, 12/X/2008. ‘Morales: Iran to Start TV Channel in Bolivian Coca Country’, Associated Press, 19/II/2008. Carlos Valdez, ‘Entrevista AP: Irán descarta instalar televisora en Bolivia’, Los Tiempos,29/IX/2008. ‘Estudiantes iraníes muestran su oposición a Ahmadeniyad (y a Hugo Chávez)’, Noticias de Irán en Español, http://noticiasdeiran.blogspot.com/2008/12/estudiantes-iranes-muestran-su-oposicin.html, 19/XII/2008. Montúfar, El reciente acercamiento diplomático entre Ecuador e Irán. Afrasiabi, Iran and the left in Latin America. 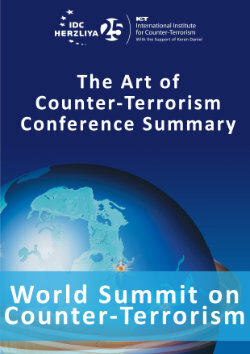 ‘Country Reports on Terrorism 2007’, Office Of The Coordinator For Counterterrorism, US State Department, 30/IV/2008. Ilan Berman, ‘No Diplomatic Relations Until Terrorist Funding Stops’, McClatchy-Tribune News Service, 12/II/2009. Chris Kraul & Sebastian Rotella, ‘US Fears Venezuela-Iran Ties May be Aiding Terrorists’, Los Angeles Times, 28/VIII/2008. ‘INTERPOL Executive Committee takes decision on AMIA Red Notice dispute’, INTERPOL media release, 15/III/2007. ‘INTERPOL General Assembly upholds Executive Committee decision on AMIA Red Notice dispute’, INTERPOL media release, 7/XI/2007. ‘Manuchehr Mottaki Speaking at Imad Mughniyeh’s Funeral in Beirut’, PressTV, 15/II/2008. ‘OSC Report: Iran – Tehran Suspects Arab Involvement in Mughniyah Assassination’, NTIS, US Dept. of Commerce, 13/III/2008. James, Iran raises profile in Latin America. Kiriakou, Iran's Latin America Push. See for instance Ambassador Francis Taylor, ‘The Presence of International Terrorist Groups in the Western Hemisphere’, testimony before the House Committee on International Relations, Subcommittee on the Western Hemisphere, Hearing on the Western Hemisphere’s Response to the September 11, 2001, Terrorist Attack on the United States, 107th Cong., 1st sess., 10/X/2001, www.state.gov/s/ct/rls/rm/2001/ 5674.htm; see also Blanca Madani, ‘Hezbollah’s Global Finance Network: The Triple Frontier’, Middle East Intelligence Bulletin 4, nr 1 (January 2002), www.meib.org/articles/0201_l2.htm. See for example Fabio Castillo, ‘The Hizballah Contacts in Colombia’, part three of the investigative series ‘Tracking the Tentacles of the Middle East in South America’, El Espectador (Bogotá), 9/XII/2001. In February 2000, the Paraguayan authorities arrested Ali Khalil Mehri, a Lebanese businessman who had allegedly been selling millions of dollars worth of pirated software and funnelling the proceeds to Hezbollah. Similarly, the businessman Assad Ahmad Barakat, a Lebanese emigrant to Paraguay and the alleged ringleader of Hezbollah’s financial network in the tri-border area, was arrested in the summer of 2002 for allegedly funnelling large sums of money to the organisation. In an October 2001 raid on one of his businesses, the Paraguayan authorities had found numerous items linking him to Hezbollah, including a letter from Nasrallah, who wrote that he was ‘most thankful for the contributions Assad Ahmad Barakat has sent from the Triple Border’. In November of that year, the Chilean authorities alleged that two businesses owned by Barakat were Hezbollah ‘fronts for money laundering’. Seven Lebanese citizens were arrested in connection with that investigation on charges of illegally financing a terrorist group. Similarly, Hezbollah cells based in Maicao, Colombia, have used local drug trafficking and contraband networks to launder funds that were later used to finance terrorist operations worldwide. Two clans in the area have been investigated for running combined gun and drug trafficking networks used for the same purpose. See Ely Karmon, Fight on All Fronts? : Hizballah, the War on Terror, and the War in Iraq – in Policy Focus, The Washington Institute for Near East Policy, nr 46, December 2003, p. 24. Howard Vincent Meehan, Terrorism, Diasporas, and Permissive Threat Environments. A Study of Hizballah’s Fundraising Operations in Paraguay and Ecuador, Master of Arts Thesis in National Security Affairs from the Naval Postgraduate School, Monterey, California. December 2004. ‘Police Link Ecuador Drug Ring to Hezbollah’, The Associated Press, 22/VI/2005. Ibid. The Mansur Free Zone Trading Company N.V. was Phillip Morris’s main distributor in Latin America until the US indicted the Mansur brothers for money laundering. Kraul & Rotella, Colombian Cocaine Ring Linked to Hezbollah. ‘It is extremely troubling to see the Government of Venezuela employing and providing safe harbor to Hezbollah facilitators and fundraisers. We will continue to expose the global nature of Hezbollah’s terrorist support network, and we call on responsible governments worldwide to disrupt and dismantle this activity’, said Adam J. Szubin, Director of the Office of Foreign Assets Control of the Treasury Department. Martin Barillas, ‘Hezbollah Finds Fertile Ground in Latin America Thanks to Iran-Venezuela Axis’, Cutting Edge News, 1/IX/2008, http://www.thecuttingedgenews.com/index.php?article=731&pageid=20&pagename=Security. See Ely Karmon, ‘Hezbollah América Latina: Strange Group or Real Threat?’, Institute for Counter-Terrorism website, 14/XI/2006, http://www.instituteforcounterterrorism. org/apage/3539.php. See also Manuel R. Torres Soriano, ‘La fascinación por el exito: el caso de Hezbollah en América Latina’, Jihad Monitor Occasional Paper, nr 1, 17/X/2006, http://www.ugr.es/~terris/ Hezbollah%20Latino.pdf. Torres Soriano, La fascinación por el exito: el caso de Hezbollah en América Latina. ‘Condenan a prisión a venezolanos que colocaron explosivos en embajada de EEUU’, EFE, 20/XII/2008. See his blog at http://www.blogger.com/profile/14182501489124982427 and http://teodoro-darnott.blogspot.com/. Accessed 28/II/2009. See Terrorista venezolano prisionero 474: Teodoro Darnott (Venezuelan terrorist 474: Teodoro Darnott), published in December 2008. Dr Juventino Martínez was approached by a representative of the US Embassy, which was worried by the fact that the Shia Center was close to the Embassy building and represented a threat in the event of an attack. According to Darnott, Dr Martinez became an American spy to monitor the activity of Hezbollah and al-Qaeda in Latin America. Gustavo Gutiérrez Merino is a Peruvian theologian and Dominican priest regarded as the founder of Liberation Theology. Gutiérrez’s groundbreaking work, A Theology of Liberation: History, Politics, Salvation (1971), emphasises a Christian’s duty to aid the poor and oppressed through involvement in civic and political affairs. See The Encyclopedia Britannica, http://www.britannica.com/EBchecked/topic/249944/Gustavo-Gutierrez. Gustavo Coronel, ‘The Hezbollah Venezuelan Metastasis’, Venezuela Today, 4/IX/2006, http://venenews.net/gUStavo-coronel/hizbula-hezbollah-hizbullah+venezuela+hugoChávez.html. J. Halevi & A. Perry, ‘Hizbullah’s Global Reach’, http://www.ynet.co.il/english/articles/0,7340,L-3580047,00.html, 10/VIII/2008. Karmon, Hezbollah América Latina: Strange Group or Real Threat? ANRed (Agencia de Noticias Red Acción), 7/VII/2006. Ely Karmon, ‘Hizballah and the Antiglobalization Movement: A New Coalition?’, PolicyWatch, The Washington Institute for Near East Policy, nr 949, 27/I/2005. 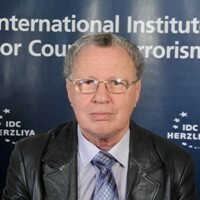 Bill Cecil, ‘Anti-imperialists Unite at Beirut Forum’, International Action Center website, 21/I/2009, http://www.iacenter.org/palestine/beirut-forum012509/. Ibid. The Tricontinental Conference was held in Havana in January 1966 to adopt a common political strategy against colonialism, neo-colonialism and imperialism. Cuba provided the organisational structure to support terrorist, anti-American groups in the Middle East and Latin America. The Organisation for the Solidarity with the Peoples of Africa, Asia and Latin America (OSPAAL) was created during this conference. See the text of the Final Declaration of Beirut Intl. Forum for Resistance, Anti-Imperialism Solidarity between Peoples & Alternatives at http://www.iacenter.org/palestine/beirutforum_closing0122809/. ‘Islamic and Leftist Anti-imperialists Unite’, Campo Antiimperialista website, 24/I/2009, http://www.antiimperialista.org/index.php?option=com_content&task=view&id=5975&Itemid=244. ‘Boost Global Intifadah Against Barbaric Age! Message of Ozgur-Der / Turkey, (Free Thought and Educational Rights Association) to the conference of the Anti-imperialist Camp’, Campo Antiimperialista website, 5/II/2008, http://www.antiimperialista.org/index.php?option=com_content&task=view&id=5511&Itemid=235. See ‘Proceedings of the Beirut International Forum’, Campo Antiimperialista website, 26/I/2009, http://www.antiimperialista.org/content/view/5980/244/. ‘Foro Internacional de Beirut solicitará expulsión de Israel de la ONU’, ABN, http://www.abn.info.ve/noticia.php?articulo=165773&lee=1.